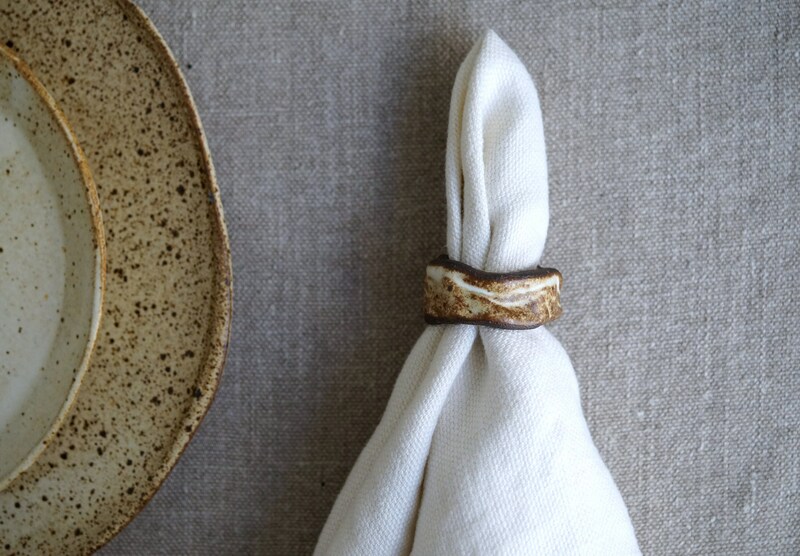 This stoneware napkin ring re-creates that tradition in glorious designs that make every meal a festive occasion. 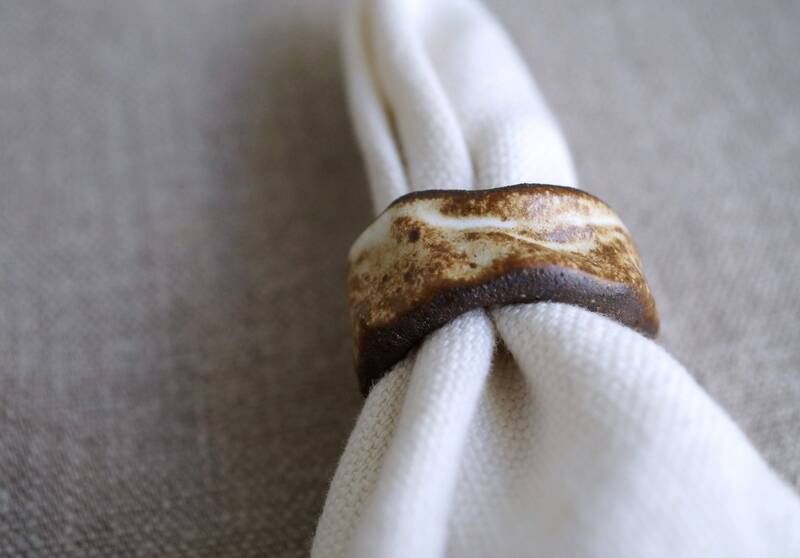 This napkin ring features intricate detailing in a range of rustic white and deep brown that lend vibrant energy to any dinner table. 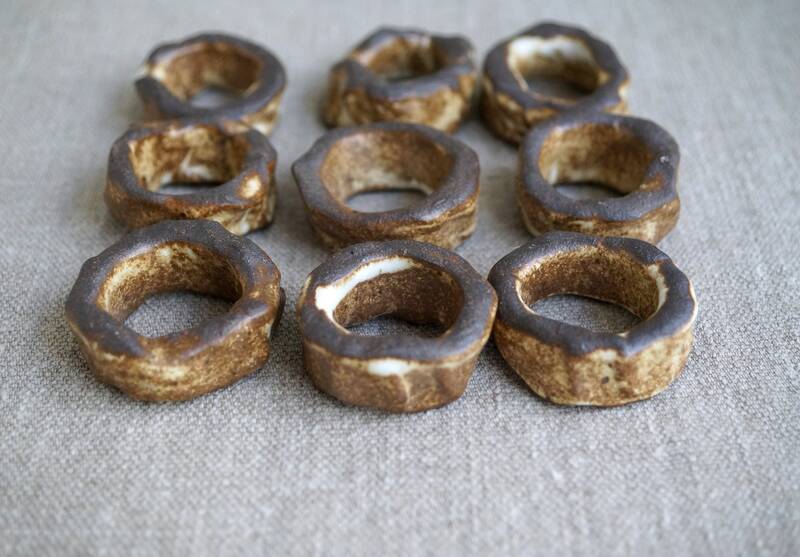 Crafted of durable glazed stoneware. 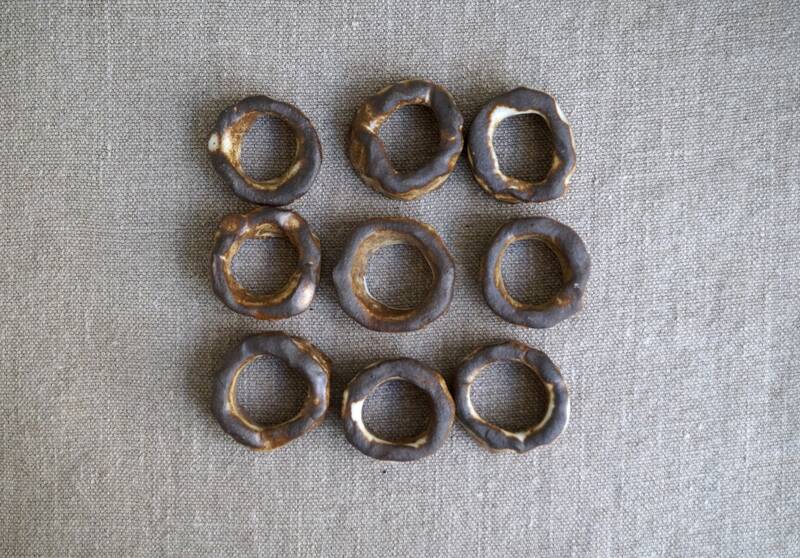 Dimensions: Diameter is 1 1/2"